Intel lived up to its promise of entering the smartphone market in 2012. The company’s low-powered Atom SoC has already made its way onto half a dozen commercially available handsets, most recently the Motorola Razr i. But for all the progress it has made coming up with a viable x86 alternative to ARM-based chips, Intel has yet to release a smartphone in the US market, let alone share any plans to do so in the near future. Apparently the lack of LTE support on its current Medfield parts could be to blame for the omission. Although he didn’t directly reference this as the reason for Medfield’s current geographical spread, Intel’s Director of Product Marketing Sumeet Syal confirmed that the current-generation Medfield chip doesn’t support LTE, and that a capable version will arrive later this year with production ramping into 2013. Syal said Intel is also readying a dual-core Medfield chip. 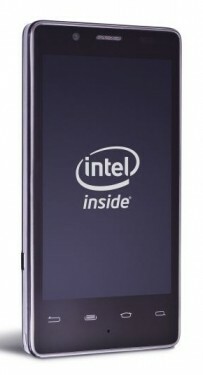 Currently, the Intel’s Atom processor for smartphones is available in a single-core variety only, but the company claims it still outperforms a lot of the dual-core and quad-cores out there because they’re able to handle two simultaneous threads with the same hyper threading tech used in desktop and laptop parts. The upcoming dual-core Atom should support hyper-threading as well, meaning it will be able to handle up to four simultaneous threads. It remains to be seen if the addition of LTE and multiple cores will help Intel catch up with ARM in the multi-billion dollar mobile space. For now, the company says it is comfortable with how much progress it has made, with six Android smartphones released in India, China, Russia and the UK.